During my blog experience, I was able to interview a zoologist named Robin English from Seneca Park Zoo with my fellow bloggers Morgan and Keyli. Some of the things I found out were very interesting. Cool fact: Zoologists get to work with every animal in the zoo, but zoo keepers work only with one specific animal. Informational fact: You can do vet school online! Fun fact: Under a waterfall in Syracuse, there is a small snail that you can’t find anywhere else! Cool fact: Sometimes the mama animal doesn’t accept their cubs. Cool fact: The new lion cubs at Seneca Park Zoo are named Savannah and Tibariahs. Cool fact: Every animal knows the barrier between humans and them. So if you cross their barrier you can never know what will happen. I think that being a zooilogist is the best science there is. It’s just like being a doctor except your working on wild animals. I learned a ton of new things that I never knew before. This experience made me want to be a zoologist even more. I hope one day I’ll be able to work in the animal hospital just like Dr. Robin! Hello my name is Alana. I am a 15 year old African American, junior in high school. I was born in New York, raised in Virginia, and then moved back to New York when I was eleven. I have three sister and two brothers. I am the youngest out of all of them. Growing up I always was around animals. I don’t remember a time I was without an animal. I’ve had dogs, cats, birds, fish, ferrets, almost every house pet you can think of. Being around animals made me think that I just can’t live without them. So I always told myself that when I grow up I wanted to work with cats and dogs. As I grew up, I started to grow an interest in wild animals. 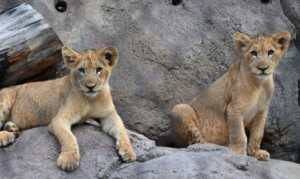 I could remember times where I would go to the zoo and stare at the lions in fascination. But because I was still very young, I didn’t really know what a zoologist was so I just stuck with working with smaller animals. I could remember one time I was at my dad’s house, and I saw these adorable kittens, and all I wanted to do is help them. But my sister wouldn’t let me, so I yelled at her and didn’t talk to her for weeks. For years, I always told myself that if I didn’t become rich and famous from acting, I would be a vet. By the time I was in 9th grade, I started looking into colleges that had a vet program. By 10th grade, I finally found out what the people who worked with wild animals were called. I eventually changed what I want to be to a zoologist or a zoo keeper, or try to travel all around the world and help all the endangered animals. Since animals fascinate me so much, I decided to make my blog about fascinating animals. Today I was watching a movie called planet 51 and on the previews there was this movie called “Hachi: A Dog’s Tale.” This movie is about a dog’s loyalty. I found the movie extremely interesting especially since I have a dog myself. So I decided to find out how the movie went. I went on Wikipedia and read about the plot of the story. I found out that the movie is based on a true story and was originally made in Japan and spread all across the world. The movie was so good they decided to make an American version of it. I’ve summed up the story, but I also tried not to give the whole movie away. Hachi, the dog, followed his owner to work everyday. But one day the dog refused to follow his owner. Instead, he tried to keep the owner home. Later that day the owner died from a serious heart attack . For years, Hachi would go the train station and wait for his owner. The part about this story that interested me the most was how the dog knew that something bad was going to happen. It had me thinking: Do all animals know when something bad is going to happen?. I Googled my question and what I found was very cool. In one of the many articles I read I found that knowing something bad is going to happen is a “sixth sense” for animals. The article said that animals began to act different when something bad is going to happen. In December of 2004 a tsunami destroyed parts of Indonesia, Thailand, and Sri Lanka. They had an animal reserve there. But when they went to go find the animals, they were nowhere to be found. They managed to escape before they tsunami hit. How did the animals even get out? 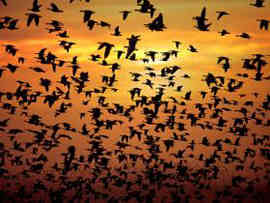 I find it so amazing that the animals where able to evacuate. Did they ever even find the animals? The animals are amazing for being able to since the danger. Another example of this sixth sense was tested in 1975. There was an earthquake in the Chinese city of Haicheng. The animals began to act weird. The actions of the animals in the city led people to evacuate before the earthquake even hit. These animals saved thousands of lives. I find these animals so amazing. I would love to have a dog that knows when something bad is going to happen. Categories: Asking Questions and Defining Problems, Being Scientific, Cause and Effect Mechanism and Explanation, Cross Cutting Concepts, Disciplinary Core Ideas, Life Sciences, Physical Sciences, Planning and Carrying Out Investigations | Comments Off on Are Animals Superheroes? Today I watched two clips off of animal planet. They both were on the same story. These clips really grabbed my attention because I never new that people had tiger farms I always thought that the only people who owned tigers were circus people or zoos. The clips were about this family who owns a ranch for tigers. In the first clip I watched, a white tiger named Jupiter killed his owner Chuck. Chuck was walking towards the tiger to get him to move. While walking, Chuck tripped over a piece of pipe that was lying on the ground. Chuck’s fall seemed to have startled Jupiter. Once he had fallen, the tiger attacked. The family kept him because they thought that the tiger didn’t do anything wrong. Sometime later the mother of Chuck, Joy, went to help her father feed the tigers. Once it was Jupiter’s turn, Joy began to feel dizzy suddenly she fell over. Again the tiger attacked, killing her in seconds. The family was extremely upset. I didn’t watch the whole story, so I am unsure of what they did to the tiger. But it did have me thinking. Why would the tiger attack someone that raised him? What caused the tiger to attack? 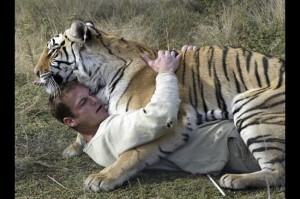 Did the tiger feel threatened? So I looked further into it. My research was interesting. 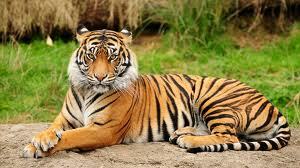 Tigers cause more human deaths than any other big cat. They have killed at least 373,000 people between the years 1800 and 2009. 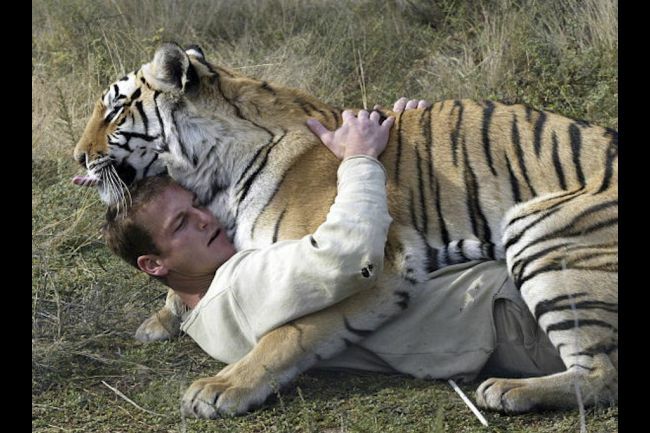 A tiger mainly attacks because a human came too close or surprised them. Some tigers also become man eaters. A tiger becomes a man- eater because of human actions, such as attacking the tigers or humans moving into a tigers territory. 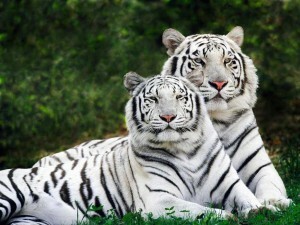 It also is possible that the tigers mistaken the humans as something else. In another article I read, that anything out of the ordinary can cause a tiger to attack. For example if a tiger is ordinarily in a peaceful area, any kind of commotion can cause them to attack. I don’t think that it would be a good idea to have a tiger farm because they are so unpredictable. I would still love to work with tigers, just have them behind a cage. 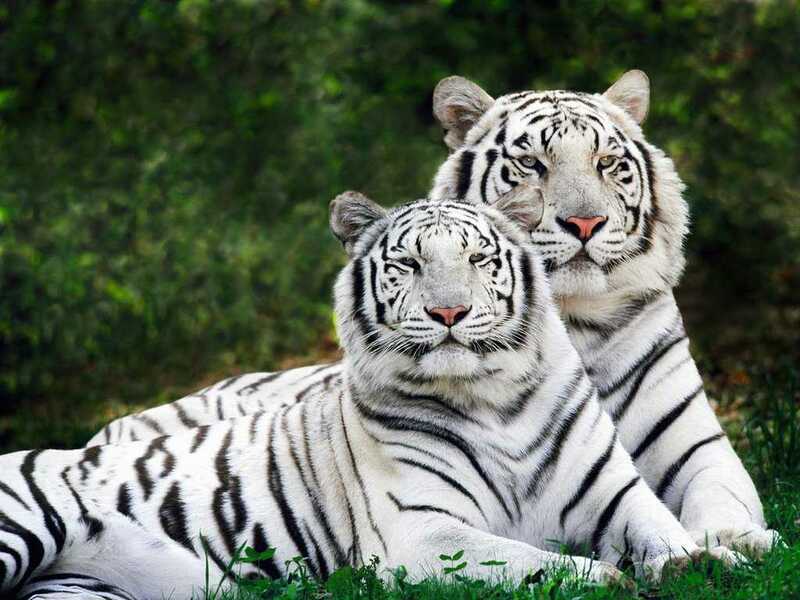 I love tigers, and I think they are beautiful creatures. How can these beautiful creatures be so dangerous.